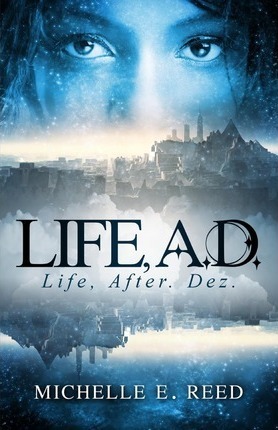 In life after death for 17-year-old Dez Donnelly, she is given two choices: join the program or face the consequences. Dez learns all about it when she crashes headlong into fate on the side of a rural highway, her life ending in a violent collision of steel and screaming brakes. The train that delivers her newly departed soul to the crossroads of the afterlife won't be carrying her to the sweet hereafter until she accepts her abrupt end and learns to let go of the life she'll never finish. Her new reality is conduct manuals, propaganda, and unrelenting staff, all part of a system to ease her transition from life to death, while helping her earn her way out of limbo. Yet the beautiful and enticing Atman City is an ever-present temptation that is strictly off limits to underage souls. The promise of adventure proves too strong, and beneath the city's sheen of ethereal majesty, Dez discovers a world teeming with danger, where being dead isn't the same as being safe, and the only thing harder than getting out of limbo is getting through it. Michelle E. Reed is a passionate writer and adoption advocate. Shelives in Menomonie, Wisconsin."